Whether you have a "Two Heart" theme or just want a ring pillow that symbolizes your love, our Two Hearts Beat as One Ring Pillow is the perfect choice. 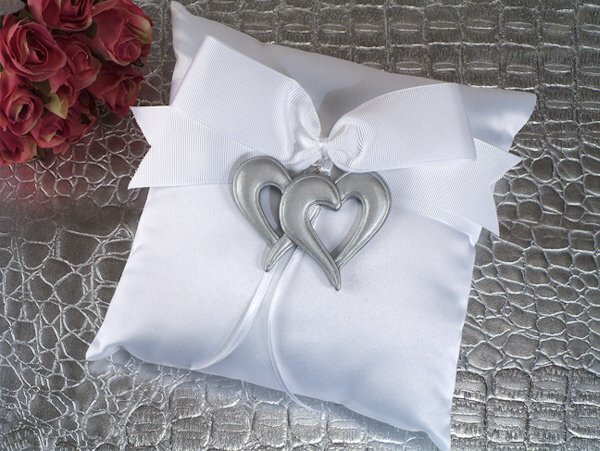 Simple yet elegant, this striking white satin pillow features a whimsical sculpted double heart ornament attached to a white satin bow to add charm to this wedding day accessory. 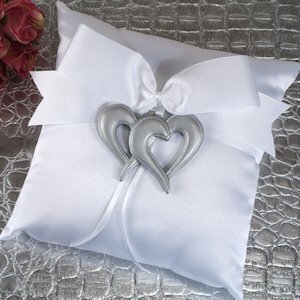 Each pillow measures 7.5" x 7.5" and comes in a silver gift box with clear cover.